I was super excited when I found this survey and couldn't wait to post it. Jamie @ The Perpetual Page Turner is the one that started this great end of the year post and if you would like to know more about it, CLICK HERE. Below are some answers to some great questions about my reading year! I know this book isn't a new one, but when I picked it up, I thought I would love it. I really didn't, it was okay but it wasn't that I can't eat without putting this book down type of love. This is going to be one of the books that I have as my favorite of the year. When I first read the prologue for this book, I wasn't sure if I would like it, but I love this book so much! 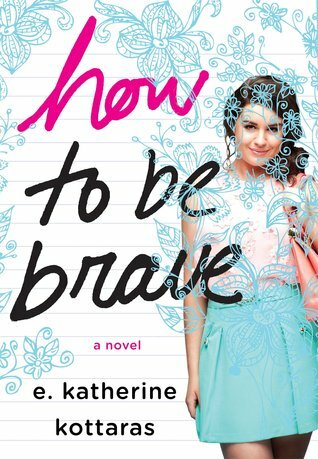 How to be Brave is one of those easy reads that I instantly fell in love with and couldn't wait to tell people about. Which of course I did and probably didn't shut up about it for weeks. ENCLAVE!!! Yeah that was easy to answer, Enclave by Ann Aguirre was by far my favorite best series starter. It wasn't released this year, but it was one of my favorites and probably number 3 on my best list of reads for me this year. 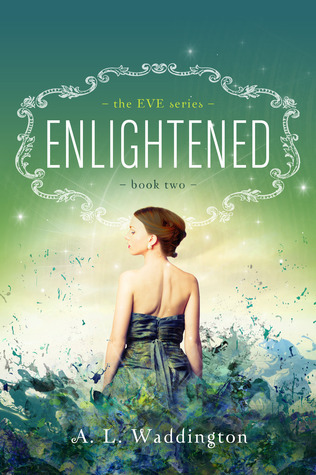 As far as sequels go I would have to say Enlightened by A.L. Waddington. It's book two of the Eve Series. I love this whole series. As far as Series enders, I didn't read many of those this year, but plan on doing just that in 2016! I discovered the very talented Mila Gray this year. She's the author of Come Back to Me and honestly I would read anything she writes. I can't wait for the next books in the series. I'm getting ready to start another book written by her here shortly. 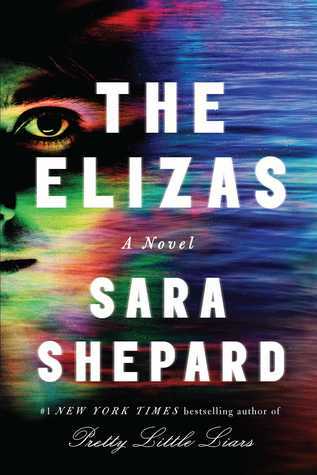 I really didn't step out of my comfort zone too much this year, due to a major reading slump, when I did the book was so bad that I had to force myself to read 50 pages, let alone all of it. 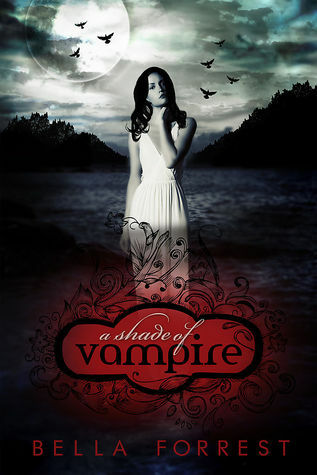 A Shade of Vampire, would have to be the most action packed book that I've read, the most unputdownable is probably a tie again between my two favorite books of the year. 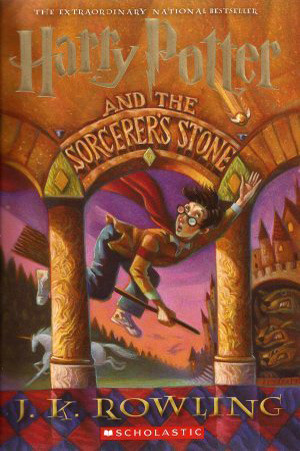 Harry Potter, I honestly re-read the whole series every year. It's a tradition of mine, that I love so much. I typically I start reading them in January then read them throughout the whole year. I don't marathon them or anything, but I do finish the last one by the end of the year. I don't think I could ever grow tired of them. This is pretty easy for me to answer, it would have to be one of my favorite reads this year. 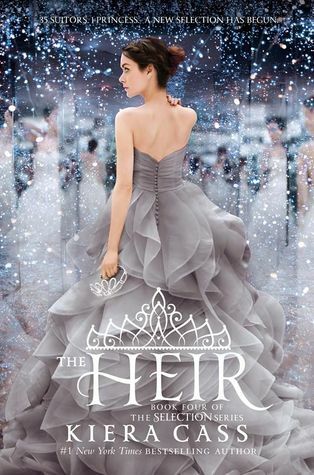 The Heir's cover is so pretty, just like the whole series. I love their covers so much! Again this one would have to be Eadlyn, I love her story line and it was nice to see a female's take on being the one to choose in the Selection. Plus I really love her name! I feel like I keep repeating myself, but this answer is a tie again between the two books that I loved so much this year. The Heir and Come Back to Me. I'm not sure which book I would choose for this one, I didn't really read any life changing books this year, again due to the major reading slump I had throughout the year. Hopefully I will change that in 2016. 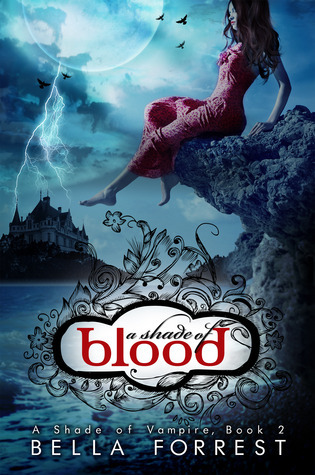 This answer is pretty easy, The Shade of Vampire series. I hadn't known about this series and I really wish I had, but hey at least I know now. Oh lord, how do I pick a favorite, there are so many. This quote really just made me laugh, mainly because guys have no idea what us females actually go through when it comes to shoes. It's a tiny quote but really a cute one at the same time. I slipped off my heels and placed them in his hands. "Ugh, these are heavy. How do you lift your feet?" "Strong calves?" He laughed and carried my shoes to the side. The shortest book I read this year was The Night Before Christmas and it's 32 pages long. The longest book I read this year was Echo and it was 592 pages long. The book that shocked me the most would have to be Come Back to Me, come on people it's one of the main reasons it's one of my favorites for the year. I mean I knew someone was going to die, without spoiling it, I didn't think it was going to be the person that does. Again this one comes from Come Back To Me by Mila Gray, Kit and Jessa are two of my favorite OTP's ever! 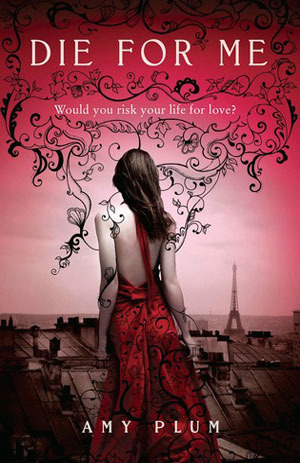 The Heir, again I've read the whole Selection series and love each and every book. I can't wait to read the rest. Well the Shade of Vampire books were mainly a recommendation from Facebook, so does that count? Kit! I absolutely love him, he's super sweet and so kind to her. I don't want to spoil the book for anyone, just know that their road isn't a easy one. 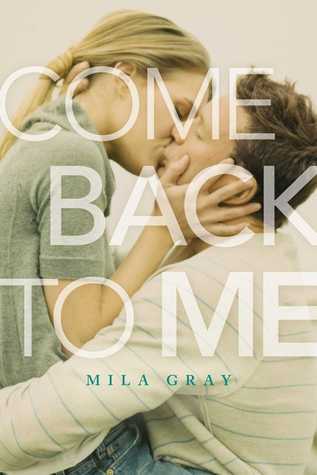 The only debt I really read was Come Back To Me by Mila Gray. Of course by now you all know that I love the book so much! Soundless! By far the best world building and vivid setting of the year. LOVE this book so much. I think the answer to this question would have to be any of the kids books that I read this year with my kids. I love reading with them and it always puts a smile on my face. Cry, lord this book made me cry so hard that I couldn't breath. The thing is that was just reading the prologue, I'm not even going to mention how hard I cried at the rest of the book. Yep, again I'm talking about Come Back to Me by Mila Gray. BEST TEAR JERKER EVER! 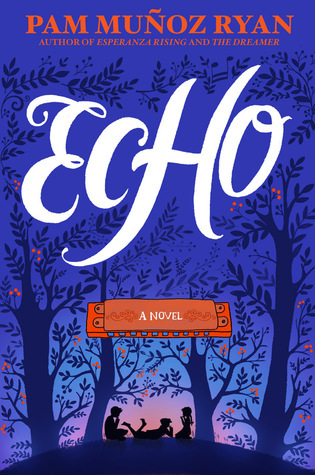 Echo by Pam Munoz Ryan, is an amazing gem of my year. I loved reading every second of this book. It's a huge book, fair warning, but it's so worth the read. The Heir, the ending killed me! This is a hard question for me, mainly because I think every book I read is a unique one, but I'm going to say Echo on this one. The story is so much perfection that I couldn't stop talking about it for weeks and the book itself is just breath taking. The Heir made me so mad, as soon as I finished it I wanted to scream, oh that's right I did. Not because it wasn't amazing, because as you know I love the book, but it's because how it ended. I need the next book like NOW!! Caffeinated Book Reviewer has become one of my favorite book review blogs this year. I love the events they have an the reviews are prefect. I love reading the posts on the blog and check the blog out at least twice a week. 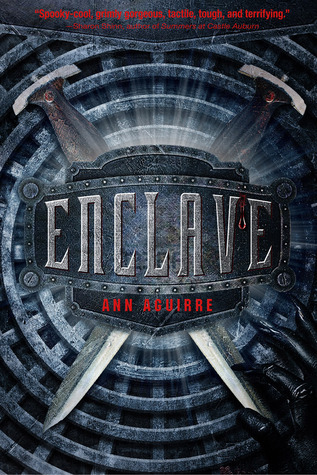 My favorite review would have to be the one I wrote for Enclave by Ann Aguirre. I love that book so much and I tried my best to show how much in the review. This past year I tried to do a lot more discussion posts and I'm going to do the same in 2016. I really loved the way I had some great comments on those type of posts this year. I think my favorite would be a tie between Do you Review Every Book You Receive and Negative Reviews: How Do You Handle Them? My favorite event every year is one that's held every few months. Bloggiesta is one that I try my hardest to participate in every time. It's a blast and I tend to get so much posted and work done on my blog. This year since I was in such a reading slump, I would have to say it was when I hit my goal for the year. I was so excited that I actually completed my goal that I did a little happy dance. Other than that I really loved going to Lori Fosters Reader and Author Get Together. I enjoy that event every single year. The most challenging was going through my reading slump and the time when I didn't blog as much as I should have and wanted. I'm going to work on that this year. Making sure I don't burn out and read what I want to read. That's two of my main goals for my blogging life and reading life this upcoming year. I think my most popular was my discussion posts. I tend to get a lot more comments on those and views as well. That's one of the reasons I have a list already started on topics for 2016. I'm not going to narrow it down to one post, I really wish my reviews themselves got more love. It seems like people read them, views wise, but I would love to get more comments on them. 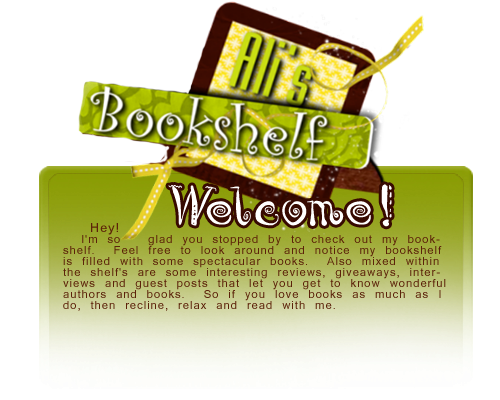 I didn't really discover any new book sites or stores this year. But that is a goal for my for 2016. I want to find some smaller bookstores in my area. Doesn't seem to be many, but I want to find out how many there are around me. I did complete my Goodreads challenge! YAY, I honestly wasn't sure I would complete it. Super happy when I did though. Passenger is the first book I'll be reading in January. It's a Jan release, but I've had it for a few months. Really need to finish it asap! There are so many to choose from... let's see let's go with Caraval by Stephanie Garber. There isn't even a cover for it yet on Goodreads! But I'm super excited about it. I would have to say Fury by Sarah J. Maas. I really want to blog more, be more consistent. I was really off this year and I want to be able to fix that in 2016. Also I really want to read more of the books that are already on my shelf that I haven't read yet. Getting a handle on that TBR pile, that's a huge goal, but one I'm going to work on in 2016. Well I haven't finished it yet, but I'm more than half way through. 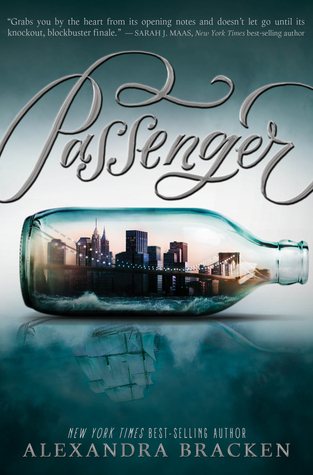 Passenger by Alexandra Bracken is one that I'm loving and telling everyone about. Well that's it for me, I'm super excited about 2016 as I hope you are as well. If you have any suggestions on topic's I can talk about, or any book suggestions, please leave those in the comments below. I would love to hear from you all! "Don't you believe in ghosts, Rosie?" "Oh, no." Rosie sounds serious. "Of course I believe in ghosts. I just don't think they'd waste their time haunting an island where no one ever goes." This and the first book in the series has bee on my tbr shelve for a long time. So I'm super excited to start reading them both. It's that time again, where did last week go? Seriously, it's like time just flies by and I have no idea where it goes. Anyway, here is a glimpse at what I'm planning to read for the last few days of 2015. In this heart-wrenching tale of love and loss, a young Marine and his best friend’s sister plunge into a forbidden love affair while he’s home on leave. When a Marine Chaplain knocks on her door, Jessa’s heart breaks—someone she loves is dead. Killed in action, but is it Riley or Kit? Her brother or her boyfriend… Three months earlier, Marine Kit Ryan finds himself back home on leave and dangerously drawn to his best friend Riley’s sister, Jessa—the one girl he can’t have. Exhausted from fighting his feelings, Kit finally gives in, and Jessa isn’t strong enough to resist diving headfirst into a passionate relationship. But what was just supposed to be a summer romance develops into something far greater than either of them expected. 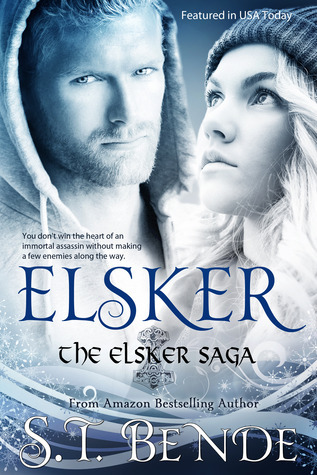 Jessa’s finally found the man of her dreams and Kit’s finally discovered there’s someone he’d sacrifice everything for. When it’s time for Kit to redeploy, neither one is ready to say goodbye. Jessa vows to wait for him and Kit promises to come home to her. No matter what. But as Jessa stands waiting for the Marine Chaplain to break her heart, she can’t help but feel that Kit has broken his promise… Riley or Kit? Kit or Riley? Her brother or her boyfriend? Who’s coming home to her? I'm going to leave it to just this book for this week, due to the holidays. I might read more though, we shall see. If I do I'll add it to the list here if I start another book. I'm super excited to work on this challenge this year, it's a challenge that I took a break from last year, but really wished I hadn't. To learn more about this challenge CLICK HERE. So if you haven't figured it out, I'm joining in this challenge this year. It's a must for me, my TBR pile has grown way out of hand. 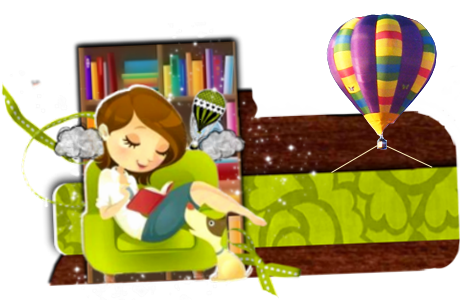 My goal is to read 45 of my TBR books. This is a huge goal for me, but I'm determined to complete it this year. Below is a list of some of the books that I would like to read. (Here are a few of the books on my list, to see the rest CLICK HERE) I have 52 books total on this list, just in case I go over the original 45. You never know, it could happen. It's day six of this great challenge and I'm super excited about today's topic. Again the 7 Day Holiday Blogging Challenge is being hosted by the wonderful Parajunkee. To learn more about this challenge, CLICK HERE. It's really hard to decide which is my favorite, yes I have a problem, but I'm pretty sure the one I love the most will always be The Night Before Christmas! My kids love this book and beg me to read it throughout the year several times. We read it together last night actually, it's one of our family traditions, one that I greatly love! Today is my family Christmas, so I would like to say Merry Christmas to all of my family and friends and of course that includes all my amazing readers here on Ali's Bookshelf. It's day five of this great challenge and I'm super excited about today's topic. Again the 7 Day Holiday Blogging Challenge is being hosted by the wonderful Parajunkee. To learn more about this challenge, CLICK HERE. Well my favorite holiday tradition is one I get to celebrate with my kids. Our family Christmas is on Christmas Eve, so on the night before Christmas Eve, my kids and myself sit down and watch The Polar Express together and I give them new pjs to wear. 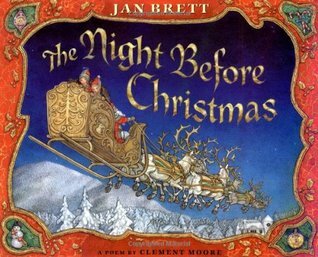 After that we read The Night Before Christmas. Then of course it's time for them to go to bed and for me, I mean Santa, to put out the presents. I love this tradition and actually as I type this, The Polar Express is on my TV! I hope you all have a great Christmas, one filled with laughter and great joy. From my family to yours, Merry Christmas! It's day four of this great challenge and I'm super excited about today's topic. Again the 7 Day Holiday Blogging Challenge is being hosted by the wonderful Parajunkee. To learn more about this challenge, CLICK HERE. I skipped day three mainly because I don't have any pictures of Holiday moments. Most of our family pictures were burnt in a house fire last year, but this year we will be making new memories and taking new pictures. I might after Christmas come back and write up the post to make up for missing it. Now this should be fun, I'm doing most of the cooking this year, due to my mom breaking her ankle in three places and having to have surgery. So I'm super excited to share this with you. I love making cookies and candies during Christmas, so I'm going to share one of my favorite pie recipes. 1. Mix the pudding like it explains on the box. 2. In a small bowl mix two large spoon fulls of peanut butter and the powdered sugar, until it looks like a crumble topping. 3. In the bottom of the pie crust, add some of the peanut butter crumbles. 4. Once the pudding is finished in the fridge, pour it into the pie crust and on top of the crumbles. 5. After the pudding is in the crust up to the edge, add more of the crumbles on top, but not all of them. 6. On top of the pudding and the crumbles, add the tub of Cool Whip to your liking. 7. After the Cool Whip is on there, add the rest of the crumbles. Extra Tip: Sometimes I add some chocolate shavings to the top or peanut butter cups to the top. I'll make sure I add a picture of the pie after Christmas. That way you can see what it looks like. If the giant wolf biting at my heels didn't kill me, then the tree-trunk of a snake twining between my feet was going to finish the job. I pumped my legs harder, exerting every modicum of strength I had left, and in the process, I stepped on the snake's head. I found this book thanks to a great Booktuber that I follow and love watching his vids. If you don't subscribe to his channel you should. Benjaminofthomes is one of the channels I watch as soon as he posts a video. He talked about this book in his recent Ben Recommends videos and the way he talked about the book I knew I had to have it. It's that time again, it's a Monday, but it's the Monday before Christmas! Does that make it any better? Not really sure, but hey it's always good to look for the good right? Anyway, it's time to share what I plan on reading this week and a glance at what I read last week as well. This is mainly what I finished last week. I'm still reading the second book that I had planned on reading. Taking me a bit longer due to taking care of my mother. So there is what I'm going to be reading this week. 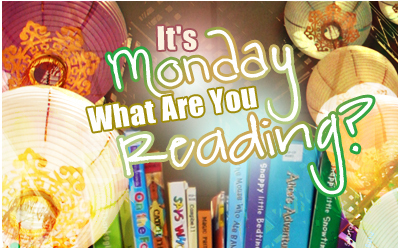 What about you, what are you reading? 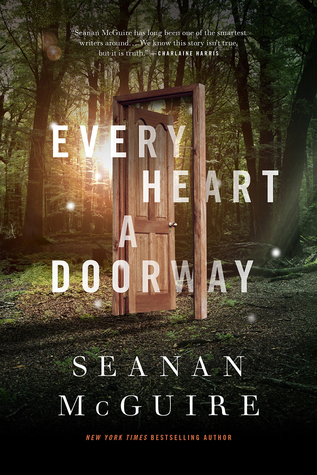 Today I get the amazing privilege to share a fantastic book with you and one that will be reviewed soon here on Ali's Bookshelf. 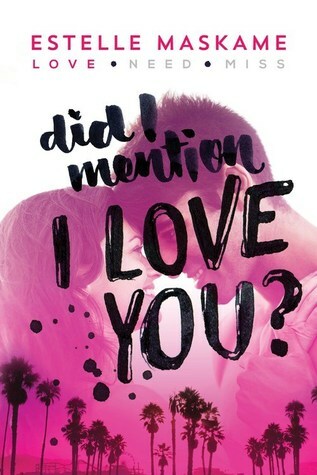 Also make sure you enter the giveaway below to win your own copy of Did I Mention I Love You by Estelle Maskame. Love is everything but expected. 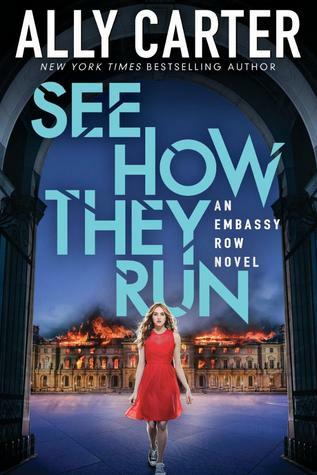 Eden Munro came to California for a summer of sun, sand, and celebrities- what better way to forget about the drama back home? Until she meets her new family of strangers; a dad she hasn’t seen in three years, a stepmonster, and three stepbrothers. Eden gets her own room in her dad’s fancy house in Santa Monica. A room right next door to her oldest stepbrother. Tyler Bruce. Whom she cannot stand. He has angry blue eyes and an ego bigger than a Beverly Hills mansion. She’s never felt such intense dislike for someone. 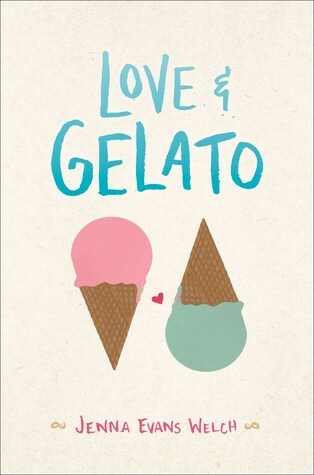 But the two are constantly thrown together as his group of friends pulls her into their world of rule-breaking, partying, and pier-hanging And the more she tries to understand what makes Tyler burn hotter than the California sun, the more Eden finds herself falling for the one person she shouldn’t… Did I Mention I Love You? is the addictive first book in Wattpad sensation Estelle Maskame’s DIMIY trilogy: three unforgettable summers of secrets, heartbreak, and forbidden romance. Estelle Maskame started writing at the age of thirteen and completed the Did I Mention I Love You? trilogy when she was sixteen. 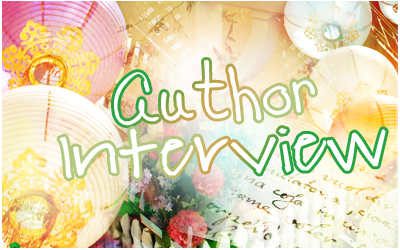 She has built an extensive fan-base for her writing by serializing her work on Wattpad. Fitting book writing between work, Estelle has amassed followers from all over the world. She lives in Scotland. Not sure this really counts as an author interview, but I did get a chance to ask author Estelle Maskame one question. Here's what she had to say. Q: If you had a chance to talk to anyone throughout history, alive or dead, who would it be and what would you ask? I think I'd talk to Justin Bieber because I'm admittedly a HUGE fan! I think I'd be too overwhelmed and speechless to even ask him anything!